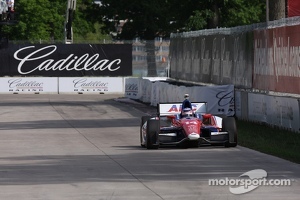 “At the start Vautier was really driving dangerously,” said Takuma Sato. DETROIT — The tranquil setting of Detroit’s Belle Isle stood in stark contrast to the heated IndyCar race that took place on the park’s circuit Sunday afternoon. Indeed, the Chevrolet Indy Dual in Detroit Race 2 resembled a Saturday night brawl in the streets as tempers flared during and after the race. Five of the six full course cautions were for cars making contact of one sort or another, including a 10-car pile-up on a lap 27 restart. 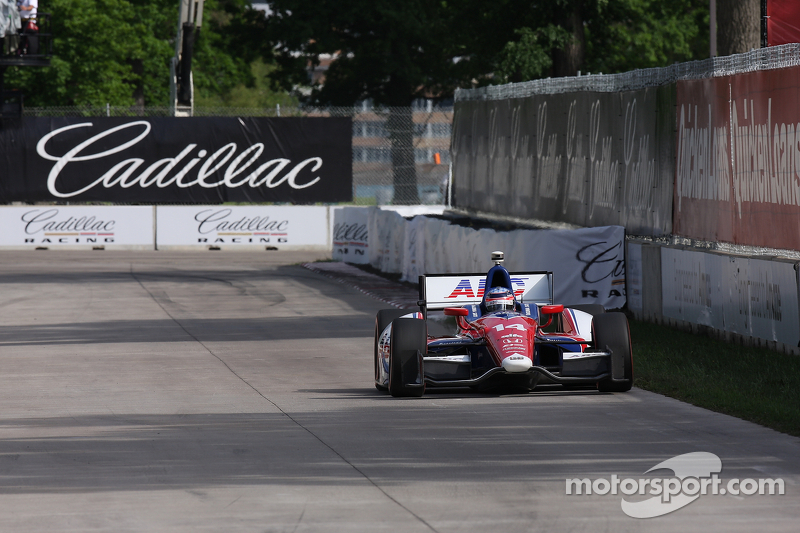 Takuma Sato had come back strong in the No. 14 ABC Supply car after a disappointing result in the first portion of the doubleheader race weekend. Starting 21st, he had climbed to eighth by lap 21 of the 70-lap race when a full course yellow slowed the action as officials cleared debris from the track. On the lap 24 restart, he edged ahead of rookie Tristan Vautier at the start/finish line and the two Honda-powered drivers went side-by-side down the half mile straight to Turn 3. Entering the corner, Vautier veered wide and hit Sato, sending him hard into a tire barrier. “At the start Vautier was really driving dangerously,” said Sato. "Two turns before the green came out, he had already driven me over the curbs. Somehow, he had no idea I was there, then at the actual start he moved in my lane at the kink where we are supposed to be double file… and not giving me any space so I had to brake or I’d have gotten airborne, so he should have been penalized right then. Sato’s car suffered damage to the left front suspension and more importantly the steering rack, which made it impossible to repair the car in the time left in the race. “It’s a really disappointing weekend but we will regroup and head to Texas,” said Sato, who dropped from fourth to sixth in the IZOD IndyCar point standings. Simon Pagenaud won the race; he was followed by James Jakes, Mike Conway, Scott Dixon and Dario Franchitti. After a month in the Midwest, The ABC Supply Racing team heads home to Texas to prepare for Saturday night’s Firestone 550 at Texas Motor Speedway. The race will be televised live starting at 8:30 p.m. by ABC-TV.